Wedding is a once-in-a-lifetime experience, and everyone wants it to be perfect, but it also requires some major arrangements, Especially if you are planning to build a website for the special day. Creating a wedding website has become a popular aspect nowadays; it helps to manage a lot of things. A wedding website provides all the information about the event, from the venue of the wedding to the guest list, you can display every small stuff here. 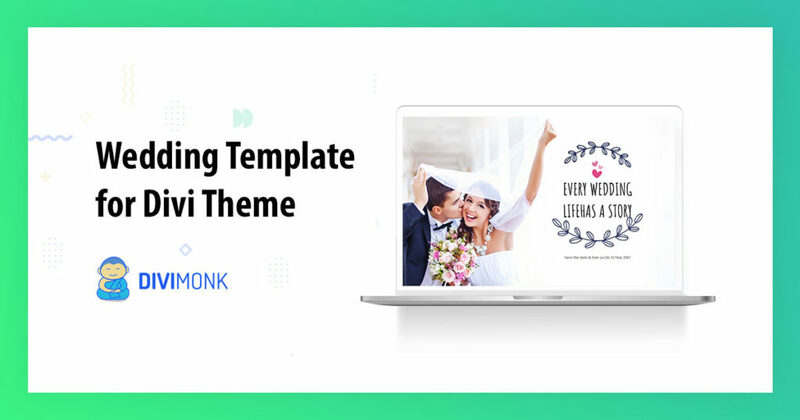 So, If you are planning to create a beautiful wedding website with Divi Theme, we have got you covered with the cloud-based Divi wedding template! Divi wedding layout has attractive and elegant sections, which helps you to make your client’s wedding website more beautiful and admiring. The template comes with three major sections, Home, About and Contact section. 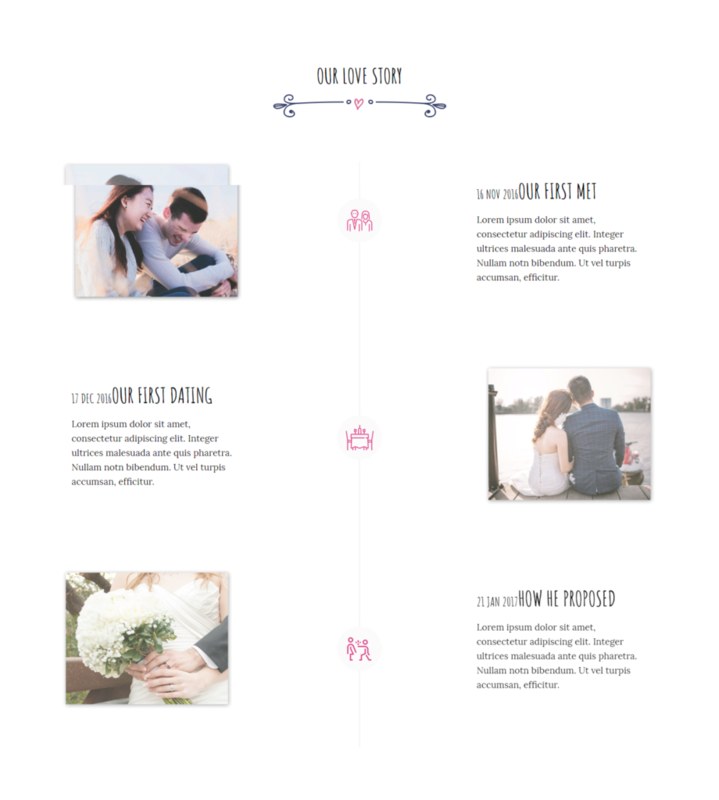 Divi wedding template puts the focus on the bride and groom. It features the beautiful hero image that includes the big day and inspiring quote section. 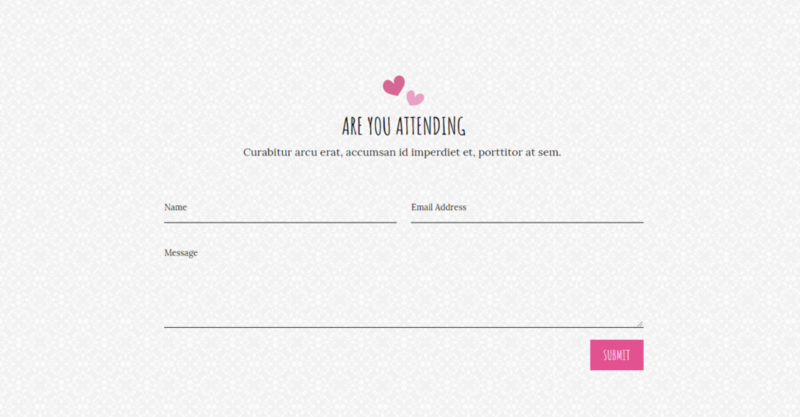 This section also features a split 2 column layout for best men and bridesmaids and final RSVP call to action. This template can be easily customized to fit other events as well. This is the most beautiful and elegant section of the Divi wedding layout. It provides a timeline module where you present your client’s love story in a very creative and lovable way. From the first meeting to the proposal, here you can display lovely moments of your client’s life and make it memorable for a lifetime. If your client wants a particular section for displaying the details of their special day, this Wedding Itinerary section is the solution, as the name suggests here you can display detail of the wedding. i.e., Date, Venue, etc. in a very stylish way. True, No wedding is complete without best friends. So in this Divi Wedding template, we have a particular section for special friends of the bride and groom. 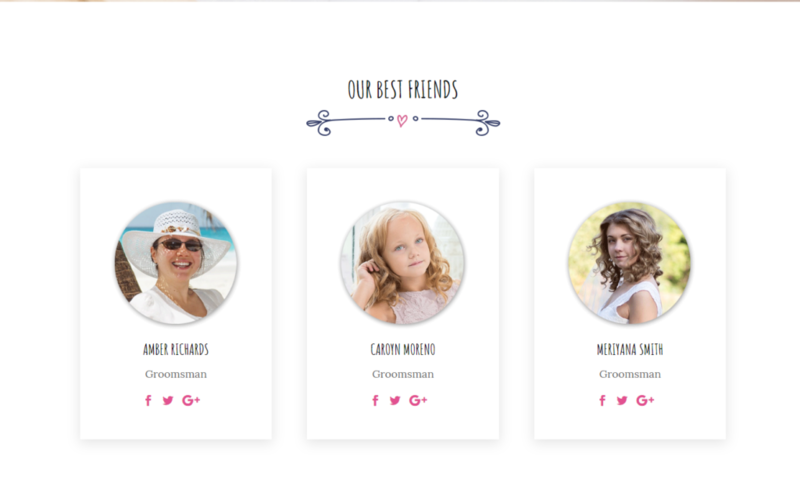 In Divi wedding template we have a special section for special friends, here we have a 3-column layout where the couple displays their best friend’s pictures as well as social media details. The contact form completes the picture; this section gives a simple form which helps guests to send messages so that if they have any query or issue they can directly contact, also here they can confirm whether they are attending the wedding or not. 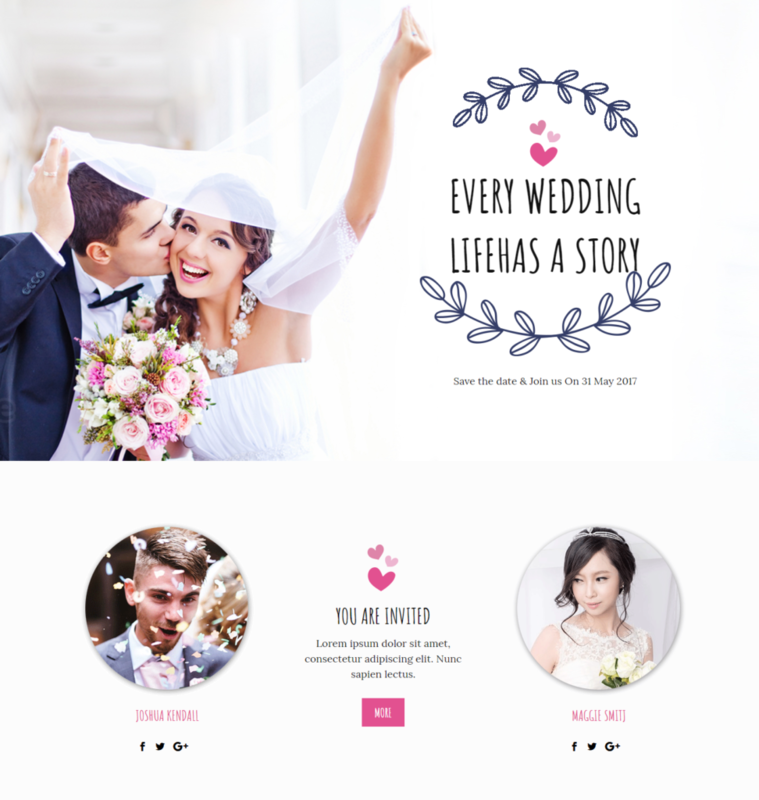 Make your special day memorable with Divi wedding layout and Get this wedding Layout along with 200+ other Divi Templates at an affordable price as a part of the DiviMonk Template Library. All Divi templates are cloud-based, mobile responsive, and come with multisite compatibility. Not only this, we keep adding new templates regularly.